Clock strikes 12 am, and the date is 4th December 2013. 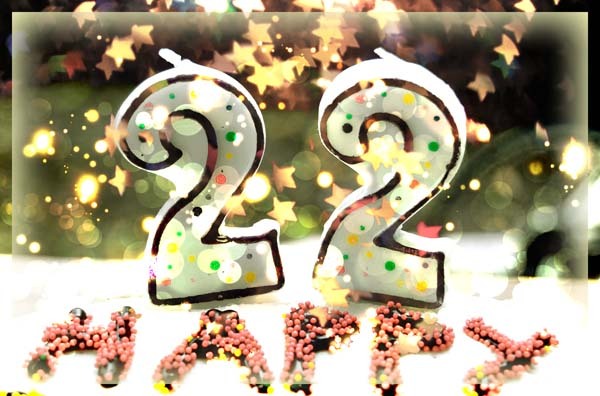 So, here comes my 22nd birthday! Couldn’t believe that I’m 22 years old already. Of course, I am taking this opportunity to wish myself a wonderful birthday first and all the best to me in coming years. Eventhough I’m now 22 years old, many people not familiar or close to me will always tend to ask me these questions; ‘Studying in high school?’, or ‘You know driving already?’. This shows that my face couldn’t really reveal my true age. People thought I am still between 16 – 19 years old. Yes. I can say I do look young and doesn’t appear like a 22 years old adult. Haha…turned out to be praising myself for being that youthful. In fact, the last time I was in high school was already like 6 years ago, and I already got my driving license 4 years ago. Of course, I do like people asking me these questions. Also feeling great when I was stopped by the guard everytime I was about to enter Genting’s casino. They had to check my age through my IC. I don’t mind. For all of us, we will experience this kind of stuff from the different stages in life. When we were small kid, we were restricted from certain rides in theme park and had to go out with companion of an adult. When we were teenager, we were still restricted from drinking alcohol or entering casino. When we reached adulthood, we are free to do anything. But once we are getting old, we were prohibited from extreme sports, driving, etc. For me now, I’m free to do anything. Haha… Back to my birthday. Today is my big day and I’m the birthday boy. But the day has to go on as usual; I had to get to work for the whole morning and afternoon, just like any other typical weekdays. It will perhaps be only slightly special with my family or my friends taking me out for a better dinner treat later. I’m not going to ruin my birthday, and I will keep my happy mood the whole day. Happy 22nd birthday to myself once again! Bye…I had to check upon my Facebook profile which will be flooded with birthday wishes from my friends and relatives within this 24 hours. And early thanks to those sincere wishes. Really appreciate it. This entry was posted in Interesting Encounters by vincentloy. Bookmark the permalink. I follow every article you post and wait for next. when I am in trouble I feel positiveness when reading your article. This one gives me extra energy for a stay motivated in my life. Thanks for the compliment. Do keep the positivity in life everyday.